In our previous study, we proved that a novel Heat shock protein 90 (HSP90) inhibitor 4-(3-(7-(diethylamino)-2-oxo-2H-chromen-3-yl)-5-phenyl-4,5-dihydro-1H-pyrazol-1-yl) benzoic acid (DPB) could inhibit A549 lung cancer cell growth via inducing apoptosis. However, whether DPB affects autophagy is still unknown. Here, we investigated the effects of DPB on autophagy and the improved anti-cancer activity in A549 lung cancer cells. Aggregation of LC3-II was observed using laser scanning confocal microscopy in GFP-LC3 stably transfected U87 cells. Autophagy and apoptosis-related protein levels were examined by Western blot analysis. 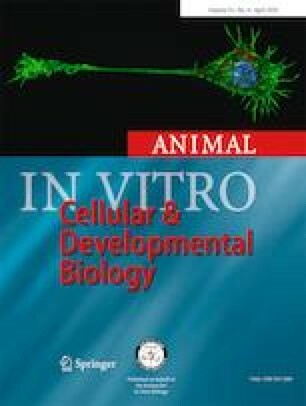 It is suggested that treatment with DPB (5–20 μmol/L) induced mTOR-independent autophagy in dose- and time-dependent manners. Pre-treatment A549 cells with autophagy inhibitor 3-methyladenine (3-MA, 5 mmol/L) enhanced DPB-induced apoptosis. And, DPB inhibited A549 cell growth more effectively in combination with autophagy inhibitors 3-MA (5 mmol/L) or 3-benzyl-5-((2-nitrophenoxy) methyl)-dihydrofuran-2(3H)-one (3BDO, 30 μmol/L). These results illustrated that as a potential and promising HSP90 inhibitor, DPB could be utilized in the treatment of cancer combined with the autophagy inhibitor. This work was financially supported by the Natural Science Foundation of Shandong Province (grant number ZR2016CM01), Key R&D Program of Shandong Province (grant number 2018YYSP022 and 2017YYSP029), Spring Industry Leader Talent Support Plan (grant number 2017035), and Key Products Upgrading Plan for Gold Seed Enterprises (grant number 201711175).